Last week, Equistone, a European private equity firm, announced it is acquiring Small World Financial for an undisclosed amount. With revenues over £110m, Equistone has bought themselves a strong platform on which to build a significant remittance player. With so many investors focusing on the digital and mobile transformations of the sector, this transaction is interesting as it is not a digital play. 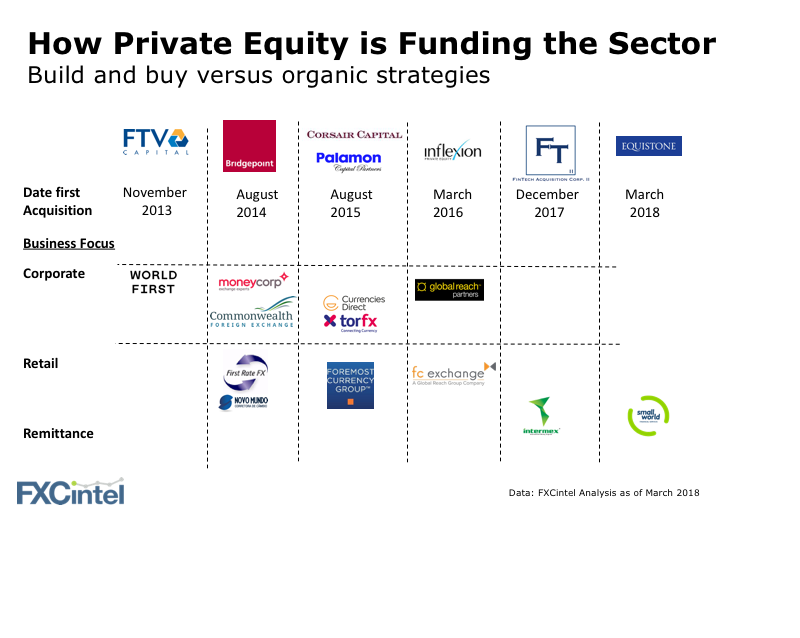 What we have seen over the last five years is a steady stream of private equity players buy into the space with one of two strategies – organic or build and buy. Most firms are following the traditional build and buy model – Moneycorp, Currencies Direct and Global Reach are each anchoring this strategy. Less common is the organic push seen by World First and FTV. As the cross-border segment is so fragmented, companies of a meaningful size that are also available to purchase are not easy to come by. With typical 5-7 year investment horizons, it is clear some investor groups are much further along than others. We would expect to see a number of exits over the next few years, especially if valuations remain strong (e.g. Cambridge/Fleetcor or the recent Transferwise and Remitly raises). What Path will Small World Financial take? Small World had several attractive features for a private equity buyer. 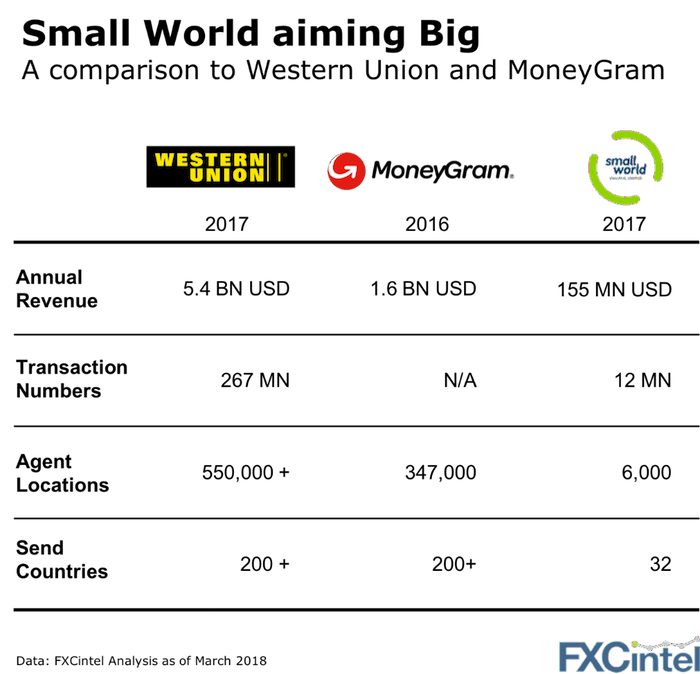 First, the company whilst small compared to Western Union and MoneyGram is big enough to provide a base from which to build. Second, it has a strong enough base in the often forgotten or dismissed offline cash world which still accounts for a significant part of the global remittance market. Whereas Western Union and MoneyGram have capped out in many markets globally, if Small World takes just 2% share from these two giants, it will double in size. That should underpin its investor’s return nicely.